Samsung’s flagship smartphone S7 is a big hit in terms of revenue and shipments for the company. Now, the Korean giant Samsung has plans to release two foldable smartphones in 2017. 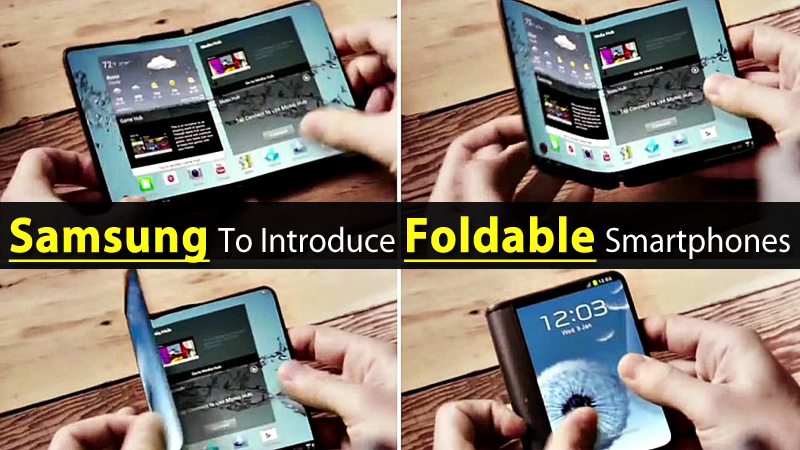 We have seen Samsung’s smartphones coming with improved RAM, storage, battery and many mind-blowing features, but foldable smartphone from the company could be a drastic change in the smartphone industry and it could be really a new innovation for the company and for the entire smartphone market. If rumors are to be believed, Samsung will be shipping a foldable smartphone in 2017. As the report states that Samsung including its display manufacturing unit, Samsung Display has joined hands with numerous manufacturers to implement the idea of a foldable smartphone and make it a reality. The South Korean giant, Samsung has been working on a technology to develop smartphones with foldable displays since the past three years. The report quotes that it could change into a 5-inch smartphone when folded or can become a 7-inch tablet when opened. The company has joined hands with some local and foreign firms for the technologies needed to make an innovative foldable smartphone. However, a recent report from Korea claims that the South Korean giant, Samsung will develop two different versions of the foldable smartphone. As the South Korean giant, Samsung has spent years researching the technology for flexible displays shaping a device called Samsung Galaxy X that will revolutionize the future market with a flexible display terminal, but which seems to not see anything tangible. The report from ETNews cites that “Samsung which has been rumoured to launch a foldable device in 2017 is developing two totally different foldable smartphones as it is pursuing a “two-track strategy” for these devices. While the first will be a dual-screen smartphone that features a flat display on either side with a hinge in between, the other one will be a single flexible OLED display that can be bent”. The first device is rumored to make its way in the year 2017 although the month and date of release are not known yet. Hence, an industry representative said that “Samsung Electronics is still thinking deeply about the release date of its foldable Smartphones as its goal is to introduce an innovative product with the high level of perfection to markets faster than its competitors”.